Learning to play an instrument can be fun and, at times, frustrating. This lively, accessible book helps young people cope with the difficulties involved in learning a new instrument and remaining dedicated to playing and practicing. Teens from renowned music programs - including the Juilliard School's Pre-College Program and Boston University's Tanglewood Institute - join pro musicians such as Wynton Marsalis, Paula Robison, and James Galway in offering practical answers to questions from what instrument to play to where the musical road may lead. 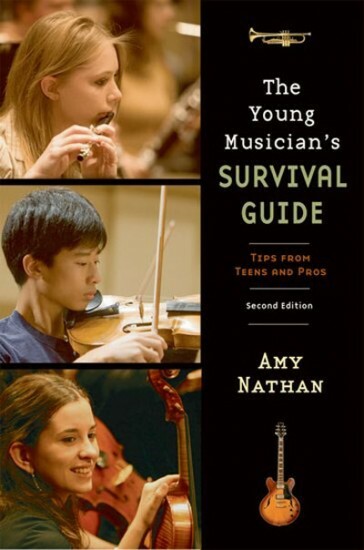 In this revised and expanded edition, Amy Nathan has updated the book to address today's more technologically-minded young musician. Expanded sections cover the various ways students can use technology to assist in mastering an instrument and in making practice time more productive, from using the Internet to download pieces to be learned and playing along with downloaded tunes to practicing with computer-based practice programs, CDs, and videos/DVDs of musical performances. She also addresses concerns of young composers and conductors, two groups not mentioned in the original edition. The book's updated Resource Guide suggests where to get additional help, both online and off. Teens from renowned music programs offering practical answers to questions from what instrument to play to where the musical road may lead. Sources include students from schools such as the Juilliard School's Pre-College Program and Boston University's Tanglewood Institute and pro musicians such as Wynton Marsalis, Paula Robison, and James Galway.